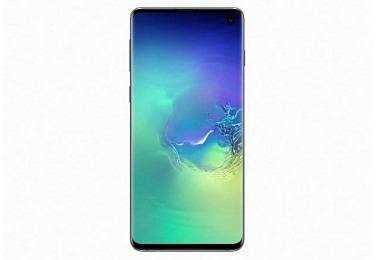 Latest price of Samsung Galaxy S10+ 128 GB 8 GB RAM in India was fetched online from Flipkart, Amazon, Snapdeal, Shopclues and Tata Cliq. 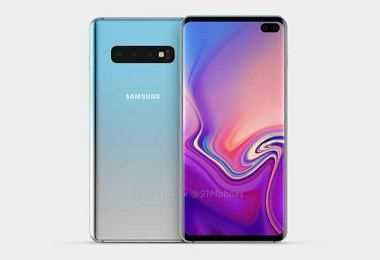 "Samsung Galaxy S10 Plus Leaked Renders Reveal In-display Dual Selfie Camera"
Looking to grab a top-tier smartphone that is a real head turner? 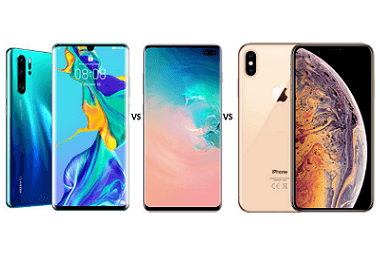 Consider the Samsung Galaxy S10 Plus! The South Korean tech giant has rolled out the much-awaited upgraded variant in the Indian market. The newest entrant from the Galaxy S line-up is big, powerful and spectacular to behold. Boasting a slim, elegant design, a phenomenal display, a great triple-camera setup, exceptionally good software, strong battery life, outstanding specs and nifty features like the futuristic in-screen fingerprint scanner, the S10+ is an excellent Android phone. The Samsung Galaxy S10+ comes with a versatile camera system to capture vibrant photos even in poor light conditions. On the front is a dual camera setup (10MP and 8MP shooters) with LED flash for striking selfies. It also flaunts an array of three cameras at the back. These include a 12 MP main snapper with a standard viewing angle along with a 16 MP super wide-angle camera and a 12 MP optically zoom telephoto shooter. The cameras are packed with features like an AI-powered scene detection mode, beauty mode, Live Focus, a night mode, scene optimiser and much more. A 128GB storage capacity is quite adequate for keeping files, photos, and other data. However, if this is not sufficient, the device can be topped up to 512 GB via a microSD card slot. In terms of aesthetics, the Samsung Galaxy S10 Plus with a thin aluminium frame and the slimmest of bezels is stylish. It comes with a curved 6.4-inch Super AMOLED panel having 1,440 x 3,040 pixels resolution which is stretched over 19:9 aspect ratio and 526 PPI pixel density. In other words, the brilliant display offers rich colours, unparalleled visuals, and excellent viewing angles. The handset is protected by Gorilla Glass 6. The S10+ is available in Prism Black, Prism White, and Prism Green. It also has two premium Ceramic Black and Ceramic White finishes. Thanks to a massive 4,100mAh Li-ion battery and reverse wireless charging users don’t have to worry about running out of juice. The battery has the potential to last two days with light usage and a full day with heavy usage. 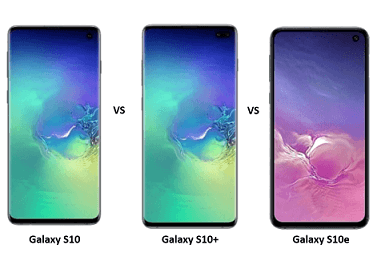 The Galaxy S10+ runs on Android v9.0 (Pie) operating system. On the connectivity front, it supports dual SIM 4G VoLTE and has Bluetooth v5.0, NFC, A-GPS, and Glonass. Then there is a Light sensor, Proximity sensor, Accelerometer, Barometer, Compass, Gyroscope. Regarding ports, the gadget has got a USB Type-C port and a 3.5 mm audio jack. The Samsung Galaxy S10+price may appear a tad steep, but the combination of chic design, stellar performance, good speakers and outstanding specs totally make it worth the money spent.